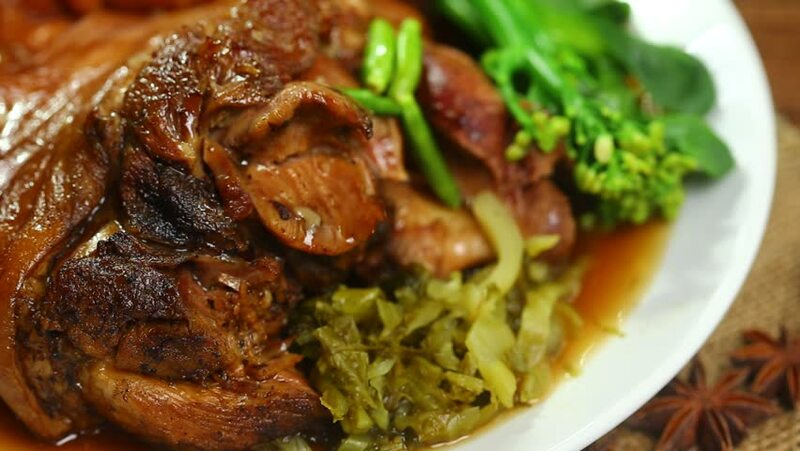 Stewed leg pork with sweet gravy sauce style chinese food. 4k00:15Slide shot Asparagus risotto with grilled salmon. Smoke. 4k00:08Motion of stewed beef with heavy smoke inside Hon's Chinese restaurant with 4k resolution. hd00:09Closeup view of aromatic and delicious fried eggs with a few slices of bred and leek in a bowl with fork. The Chachzaevka Ecovillage. Altai mountains, Siberia, Russia.